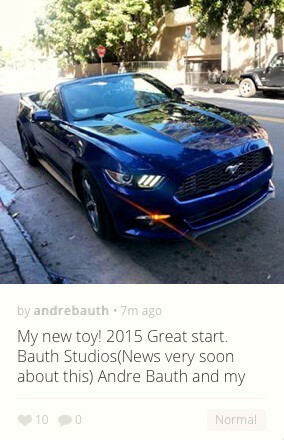 It was the end of April 2015 and new things were beginning for Andre Bauth. The Colombian-born actor and film producer was a man in play. Bauth was attending the 42nd Annual Daytime Emmy Awards on the Warner Bros. lot in Burbank on April 26. He was basking in the glory of his Emmy nomination for his role as a producer of “The Bay: The Series,” an online soap opera. He did the red-carpet gavotte, posing for pictures, smiling and prepping for what he hoped would be the triumph to come: his first Emmy. When “The Bay: The Series” won later for Outstanding Drama Series New Approaches, it was, for Bauth, a vindication of his efforts and hard work in the entertainment field. Now, it seemed, anything was possible. In spite of various challenges, life could be sweet. Fast-forward four months and two weeks, to the night of Sept. 10. 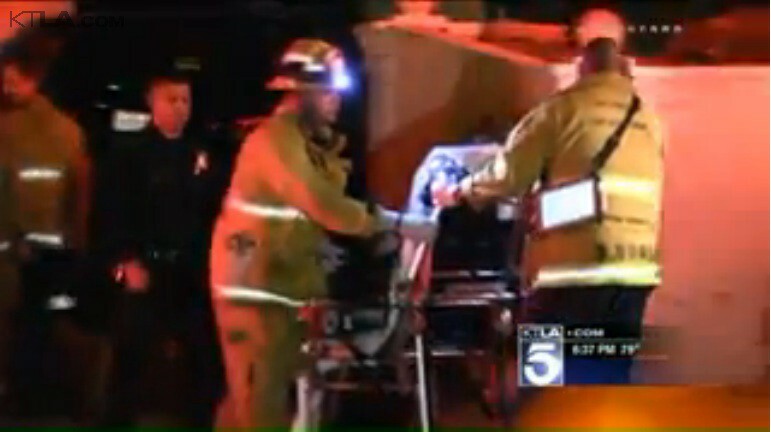 CBS Los Angeles reported near the top of its 11 p.m. newscast that Bauth was wanted by Los Angeles police on suspicion of stabbing a fellow actor, his roommate, in the chest two nights earlier, leaving the man in critical condition. The Los Angeles County District Attorney’s Office filed an attempted murder charge against Bauth and a warrant was issued for his arrest. Bauth surrendered a week later. This is a story of the swift and stunning downward spiral of an actor and producer whose vision of being a promoter and educator of artists and the arts, a Hollywood Medici, confronted the realities of life, law and economics in modern America, and the same realities according to L.A.
It’s a story of how overreaching, ego, blinding ambition and possibly a dash of violence combined to short-circuit a promising Hollywood career. This is a story of real estate, power, the pursuit of power, and life imitating art imitating life. This is the story of Andre Bauth’s world, how it fell apart and how that process of collapse almost brought others with him. Andre Bauth in a Sprint commercial, 2007. The young actor also appeared in ads for Circuit City and Bank of America. Shortly after arriving in the United States, he appeared in TV commercials including ads for Sprint, Bank of America, Circuit City and Summit Health Plans, but soon enough he scratched the same itch of many an actor, and moved to Los Angeles in 2007 to pursue a career in the movies. Since then he’s been in numerous productions. According to his IMDb profile, he won the award for Best Lead Actor at the Cine Sin Fin East L.A. Chicano Film Festival in 2008. In 2012 he won best lead actor honors for his role in “Cargo,” a low-budget thriller short, at the Indie Fest Film Awards. Until recently he was involved in no fewer than eight film projects in either pre- or post-production, including his work producing and acting in “El Landlord,” a passion project and, as it turned out, a film with more of him in it than he might have thought possible. But that IMDb snapshot only tells part of the story. Bauth was a man driven to build an empire upon an empire. Bauth was the founder and guiding spirit of the Artist Advantage Group Academy (AAGA), whose official formation as a California business was reported on Feb. 2, 2015. But the California operation was the capstone on an idea that had a long trial run in Colombia. Bauth began AAGA in September 2013, operating it as AAGA Academia de Actuación Bilingue Colombia, intended as the springboard for movie studios he hoped to build in his native Bucaramanga. The American arm of the venture was ambitious, even daring: combining the economical shared-living experience with professional resources for actors on the rise in the epicenter of cinema, and in the face of numerous competitors doing much the same thing. By the end of 2014, with ads placed on Craigslist, Roomster and EasyRoommate websites, AAGA was exploiting the allure of Hollywood with a value-added component many would find irresistible. Bauth’s fledgling academy had its appeal, but Bauth knew the real attraction, the real draw was Hollywood itself. The U.S. AAGA website told the breathless, expansive story of Andre Bauth’s plan: Young actors and other entertainment hopefuls could live in a prime location hard by the Hollywood Hills, close to where the action is. They could break bread with kindred creative spirits in a shared-living environment giving them exposure to movers and shakers in the business, and providing them with rooms at a fraction of the cost of prevailing rent prices in Hollywood, with none of the security deposit hassles and credit checks that make renting in L.A. an existential battle. And once those actors were ready to branch out, AAGA’s film division, Artist Advantage Group Films (AAGF), would produce and market those films. 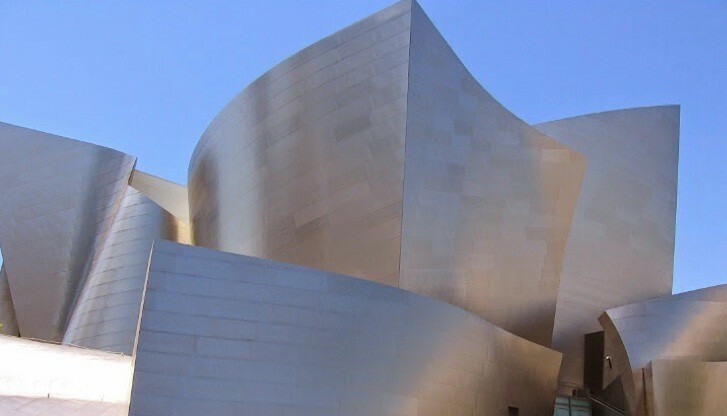 AAGA’s management arm, Artist Advantage Group Management (AAGM) would help with representation from its headquarters in Century City. That was the vision, the one-stop-shop incentive that brought hundreds of people into the AAGA orbit early this year. 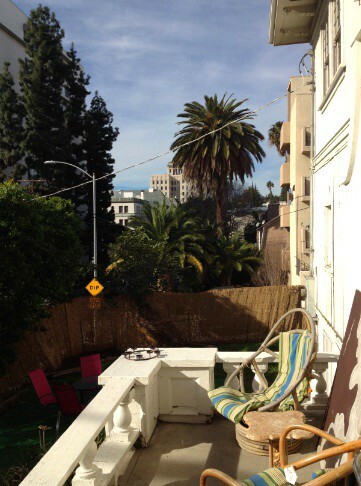 That’s what brought an older man in search of reinvention to Los Angeles in January. A journalist from Seattle with experience in online news and web production, he’d decided to act on a cherished hunch, that prospects for employment in his beleaguered chosen profession would be better in L.A., a city he’d been visiting, and fascinated with, for about 20 years. He’d grown tired of wondering if he had what it took to survive in L.A. As his professional options in Seattle dwindled, he started the process of selling the home he loved. It was time to cut the cord of living in the Northwest, where he’d been for 12 years. 2014 had been a lousy year. It was time to move on. He had friends in Los Angeles, but employment was an iffy proposition. The region was thick with competition he should have expected in the nation’s second-largest media market. He’d been sending resumes to various news outlets for months with no response — not surprising, given the logical preference for people already living there. Nothing clicked. The timing of the house sale, and time itself, were starting to work against him. He was getting prepared, psychologically anyway, for the prospect of moving down and sleeping in his car in the short term, hoping something would work out before the velocities of the street took over his life completely. A composer friend already living in the city, in West Hollywood, gave him the initials of a company that apparently helped out actors and writers with short-term housing. That’s all it took. With one or two phone calls to a man named Fear, and the overnight delivery of $275 for an “enrollment fee,” he was in (pending the rest of the money being paid when he got there). He had a place in L.A. when he got there — and not just in L.A., but a spot in the nerve center, where it all happened. “Welcome to Hollywood,” Fear said to him over the phone. He put most of his property in local storage, packed his car and drove south on Interstate 5. It was Jan. 10, 2015. Like any number of idealists real or fictional, from Tom Joad to Jed Clampett, from Will Hunting to the next person en route to Union Station, he was heading to California, crucible for dreams. And dreamers. Even before Bauth formed the legal business of AAGA, the matter of finding places for the business’ practical side had taken shape. He’d already found a smaller, elite property on the 3100 block of Laurel Canyon Boulevard in Studio City, a lush contemporary home he dubbed Stanislavsky House. Then Bauth took possession of two other AAGA properties in 2014. Both are in the heart of Hollywood: a charming 1919 three-bedroom Dutch Colonial Revival home in the 6500 block of Franklin Avenue, and a larger corner building maybe 100 feet away: 1905 Grace Avenue, one of the mini-mansions beloved by developers for the space they occupy, if not their historical significance. Reflecting Bauth’s respect for history, or a grasp of it, they were named Shakespeare House and Chaplin House. Their location wasn’t an accident. Bauth seemed to know that Franklin Avenue had a place in the early days of Hollywood. Sunset Boulevard and Hollywood Boulevard get the attention today, but in Hollywood’s infancy, Franklin Avenue was also a prime location for numerous homes, offices and apartments that formed the foundation for the movie industry yet to come. Movie people lived at the Hollywood Tower, built in 1929 at Franklin Avenue and Vista Del Mar. And several apartment properties built in the 1920s or earlier line Franklin today, from Grace to Bronson Avenues. Shakespeare House had its downsize charm, but Chaplin House was special to AAGA. It’s a large dwelling whose Neoclassical Revival style have made it a showpiece of the corner of Franklin and Grace, a glorious throwback, stylistically defiant in a Hollywood crowded with less inspiring structures. 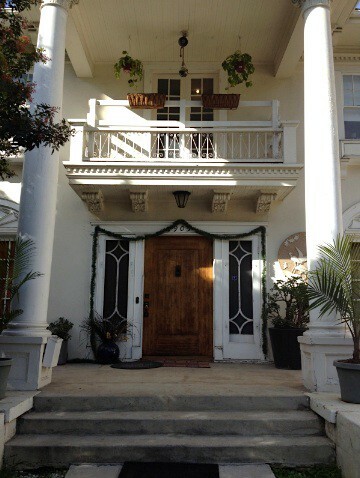 Designed and built in 1917 by builder Naldo F. Stokes, the property at 1905 Grace Ave. bears his grand, opulent style. With a wide porch, impressive interior woodwork and two huge Corinthian columns framing a massive front door, it still elicits double takes from passers-by. 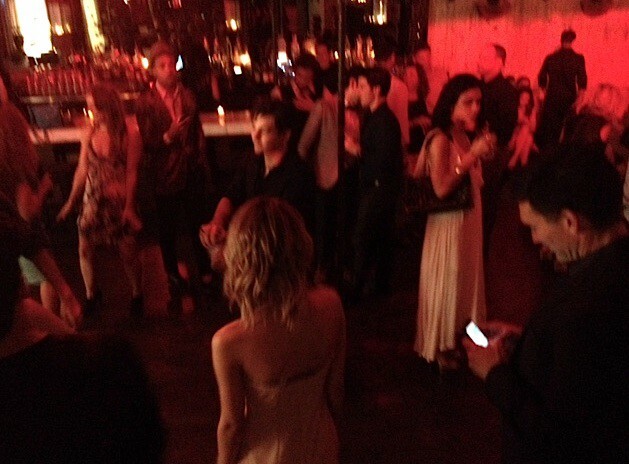 It looks like the Hollywood mansion from Central Casting. But a closer look at 1905 Grace reveals a property showing its age. According to an April 2015 report by the L.A. Department of City Planning, the property is in the Alquist-Priolo fault zone, an “earthquake-induced” liquefaction area, and has a slip rate of one millimeter a year. The main building bears several major structural cracks, including one that snakes its way up one side of the house, from near the concrete base clear to the roofline. Cracks run through the interior of the house. A rear staircase off the kitchen, with rotting wood and flaking paint, has definitely seen better decades. The AAGA brain trust included Bauth; Geoffrey Lichtman, a young, ambitious businessman and DJ transplanted to Los Angeles from Florida, and a friend of Bauth from his early days in the United States; and Travis Fear, an entertainer from Florida and Las Vegas with experience in property management. Lichtman and Fear shared operational responsibilities for the house in late 2014, after Bauth and Lichtman signed a six-month residential lease agreement with the owner. With the signing of the deal, Chaplin House became AAGA’s flagship, the embodiment of the AAGA esthetic: stately but funky, a nod to the Oldest of Old Hollywood but repurposed for the needs and tastes of young actors pursuing careers in today’s chaotic L.A. The main selling point of Chaplin House and the AAGA concept in general was that time-honored real-estate mantra: location, location, location. In the academy’s program, actors found a foothold in Hollywood at a relative bargain. Space at Chaplin House cost either $550 or $580 a month per person, depending on room size and its features. That plus the non-refundable $275 enrollment fee. There were amenities for residents. Chaplin was wired for wi-fi, indispensable today. A full set of Ikea bedding was provided when people moved in. A large and fairly well-supplied kitchen with four refrigerators made it worthwhile to shop at Trader Joe’s, a short walk away, or Ralph’s, not much further. And maid service three days a week obscured a multitude of household sins. But the operative word of the last paragraphs is “space.” That $550 or $580 got someone not a room but a bed in a room — one of anywhere from three to five other such beds in the same room. And one thing AAGA was very good at was maximizing space. Chaplin House’s address was promoted as a six-bedroom structure. But according to an April parcel profile report by the L.A. Department of Building and Safety, the location originally had only four bedrooms in the entire house. At the height of the AAGA program, between January and April of this year, at least 30 people lived there at any given time, perhaps as many as 34. Ironically, though, in that same time frame and despite the crowded conditions, social and creative activity was turned way up at Chaplin. Members who were students attended classes at the Musicians Institute or the New York Film Academy during the day. At night, life at Chaplin was a study in constant motion. Members put together wild improv sessions in the partly soundproofed garage theater at the end of the driveway. Screenplays were written and polished, stories for movies were test-pitched. 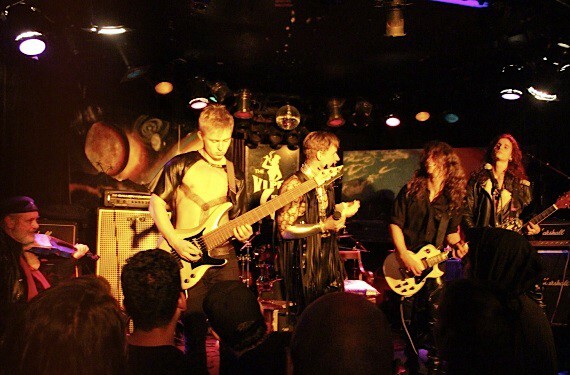 Three short films were conceived and shot, and a mini-rock opera, “Supa Nova,” was developed — and later performed at the Viper Room in West Hollywood and the House of Blues in Anaheim. 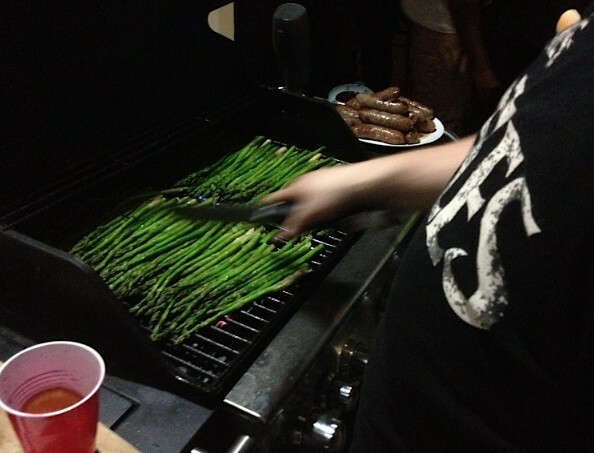 Chaplin residents could look forward to spirited barbecues on the balcony, with Fear (the son of a butcher) acting as the grill-master of ceremonies. The smell of burgers, chicken and brats on the gas grill was always wafting across Franklin at least once a week. And on other days there were impromptu parties with the folks at Shakespeare, a few doors down. The laissez-faire atmosphere of Chaplin House lent itself to those whose life schedules were hardly orderly, and whose work schedules were hardly 9 to 5 — assuming they could find work at all. Some students between classes or actors between auditions and late-shift jobs sat in the big living room, playing Destiny or Bloodborne for hours, waiting to go to work doing what they came to Hollywood to do, or something close to it. Life took on an international flavor; people came from France, Mexico, Spain and elsewhere for the AAGA experience according to Chaplin. It added to the racial and ethnic diversity that were already a fact of Chaplin life, with white, African American and Latino residents. The lights in the living room (and various smartphone-powered music systems) were routinely on until 2 or 3 in the morning. Fear was the Chaplin house manager, by turns gregarious and calculating. A natural multitasker who knew his way around photography and graphic design, Fear was never out of the loop. Besides working as the manager of a house of rowdies, Fear was increasingly tasked by Bauth and Lichtman with wider administrative duties. But his outsized, pugnaciously ebullient spirit animated the best of Chaplin’s early months, when success seemed possible. As this variety of assertive, talented, insomniac creatives interacted, Chaplin’s living room attained the passion and energy of a startup company. For some brief shining moments, the AAGA concept worked to perfection, or appeared to, and the Chaplin House experience was its crown jewel, a raucous hothouse of Hollywood’s next players. The idea behind AAGA was sound. The problem was in the execution. Start with the website. The AAGA site originally promised perks that came with being an AAGA member in good standing (which only required that a resident regularly pay the money officially referred to as “tuition.” Never “rent.”). The extras included the hazy pledge of “basic nutrition,” as well as discounts at a nearby fitness center, a dentist’s office and a car service center. But over time, more members complained of not being told about this suite of extras when they enrolled. Some said they never found the merchant discount program information at all. And the website itself was hampered early by the poor English-language skills of Bauth and the other people who built and maintained it. The site’s content was crowded with misspellings, grammatical errors and laughable non-sequiturs. Another, real-world problem evolved, one AAGA had no control over. Young actors are as much at the mercy of the economy as anyone else. As spring became summer, the turnover at Chaplin House reflected people grappling with an entertainment economy crowded with freelancers, extras and working professionals living by the phone, the computer and the mailbox. People moved in and out within a month or two, sometimes within weeks. It wasn’t always just a change of plan; AAGA management sanctioned the short-term stay in a brief flirtation with daily and weekly rates, a la Airbnb. It didn’t last long, but this transient aspect of the Chaplin identity and lax admission standards made it obvious: AAGA was slowly morphing from a presumably serious arts academy with a cohesive membership into a hostel with artistic pretensions, bunk-bed pied-à-terre for anybody with the cash to get in. Advertisements for contract and freelance jobs on websites everywhere prove that the Hollywood entertainment economy is no absolute respecter of the full-time employment model — the kind of work that makes it possible to pay one’s rent month after month, year after year. But the local economy is what it is. So when Chaplin residents fell behind on tuition payments because jobs fell through, auditions didn’t happen or checks took their sweet time arriving in the mail, they often stayed behind, even as they looked for and sometimes found other part-time work. At Chipotle and Popeye’s, Baskin-Robbins and California Pizza Kitchen. That created a cash-flow inconsistency that didn’t dovetail with Bauth’s personal style: driven, impetuous, passionate, sometimes explosive when crossed. Both Fear and Lichtman anecdotally characterized Bauth as being especially combustible in insisting on extracting cash from residents of the houses consistently, reliably, with no tolerance for not finding a job, and accepting no excuses. And as the AAGA empire expanded, that hard line toward late payers happened more often all the time. And during this period of expansion, Bauth & Co. instituted acting lessons with paid instructors. They were available to all AAGA members, but they were held in the Chaplin garage — a perfect spot for a black-box theater. Acting instructors included Vanessa Herrera, an actress, director and Stella Adler graduate; and Judd Laurance, an acclaimed acting and dialect coach who’s worked with Jason Bateman, Tony Goldwyn and Jennifer Lopez, among others. Between January and May of this year, the AAGA organization grew its stature and doubled its physical size, mushrooming from two houses to four — not counting Stanislavski House, that smaller place with relatively few residents and no risk of being overcrowded … the home of Andre Bauth. What didn’t double, or increase at all, was the attention paid to the operational needs of some houses. Chaplin House was a case in point. It wouldn’t be known until the summer, but the structure had developed mold or mildew growth in the upstairs bathroom, probably over years. Other problems already existed: the failing rear staircase; a balky central air-conditioning system; a decorative wooden railing on the balcony falling apart; and the garage/black-box theater still bearing cracks in the walls and foundation long after the March 2014 earthquakes. On at least a half-dozen occasions over six months, water from the upstairs bathroom leaked into the living room below. 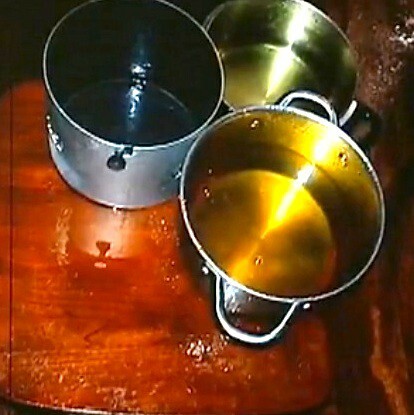 Certain mornings, while residents showered upstairs, saucepans and kettles were strategically placed to catch the water as it rained from somewhere behind the ceiling. “Welcome to Chaplin Falls,” one resident said. The property on Grace Avenue was a definite fixer-upper. And it was about to have a new manager. When Fear stepped down as Chaplin house manager, the job went to the guy who came in from Seattle a few short months before. Faced with finding no jobs in his early searches, savings nearly exhausted, he had no money to pay tuition beyond February. He thought of leveraging the skills he’d acquired as a homeowner for a dozen years. He offered to perform handyman services at Chaplin in exchange for a break on the money that he owed. In short order, that turned into a win-win. He needed some kind of work, and Fear was eager to move out of the house-manager role after a series of embarrassing party-related incidents — and an increase in people applying for AAGA. In March, and with Bauth’s blessing, Lichtman promoted the man from Seattle to house manager. It was a job, and the timing was almost providential. But he immediately discovered the endless checklist of things to do when maintaining a house with 30 different personalities, tolerances, histories and immune systems. Once-a-week trash and recycling pickup was his responsibility; so was maintaining the grounds outside; conditioning the wood floors throughout; keeping the bathrooms clean and supplied with toilet paper; stocking the kitchen with dish soap and paper towels; and refereeing disputes, or worse. This in a job with no financial compensation. No money, only the roof over his head in a crowded house … and now, a new room, one to himself in a cool corner of the basement (a basement that, according to a Housing and Safety inspector who would visit in September, shouldn’t have been occupied in the first place). For a while, that was enough. For a while. Chaplin’s new man in charge soon discovered for himself how penny-wise and pound-foolish a company could be. He had to beg AAGA management to pony up the cost of a garden rake and a push broom, needed to properly maintain the grounds. And on other maintenance issues, he was always in a defensive crouch. Mice were detected late at night, skittering across the balcony railing. He was given off-the-shelf traps; going on offense with a more comprehensive, professional solution wasn’t an option. And in the basement, roaches, spiders and silverfish made their way around Chaplin in the early morning hours. He got sprays that didn’t address the problem at the source. Anything that could do that was, again, just not going to happen. Shakespeare House had problems too. Besides personal dustups between members, residents there had to contend with broken appliances, frequent bathroom-sink backups and a basement floor choked with rodent waste. Repairs were made at both Chaplin and Shakespeare, but the standing rule for AAGA house managers was to fix most jobs as cheaply as possible. Little attention, for example, went into obtaining written warranties from licensed plumbers with proven track records in business, and higher hourly rates. Instead, AAGA more often secured the work of the same unlicensed plumber who would come back again and again, to fix the same problem again and again. Fear was named AAGA general manager in late spring. The workload he’d assumed informally before was now his mandate: Keep the houses at full capacity, filling every bed in every AAGA house. Fear sat with new members at Chaplin and the other houses, talked them through the onboarding process and collected their first “tuition” payments. In his new role Fear had become officially what he’d always been: the chief evangelist for the AAGA business model, the primary contact for the public at large. He was comfortable in the salesman role his job required, promoting AAGA with the relentless energy of a carnival barker. And there was clearly money to be made. The six-month residential lease agreement Bauth and Lichtman signed on Nov. 20, 2014, called for a monthly payment of $4,000 to the owner in Newport Beach. Rent payments made by Chaplin residents to AAGA were either $550 or $580, depending on the space being rented. Those two amounts average to $565. That figure multiplied by, say, 30 Chapliners (for rounding purposes) equals $16,950 — more than 400 percent of the agreed monthly lease price — from Chaplin residents alone. That’s not even counting returns from people in the other AAGA houses. Example: If AAGA members in May lived up to the terms of their enrollment agreements, the rent payments from the four main AAGA houses would have come to more than $44,300 — an amount that doesn’t count income from rarely unfilled beds. That $44,300 annualizes to more than $530,000. Residents at Chaplin began to ask questions, especially in light of the outward symbols of Bauth’s financial situation. Several, for example, took exception with the car that Bauth sometimes drove to the AAGA houses: a stunning new cobalt-blue Ford Mustang convertible that looked fast even standing still. They resented all the flash. Many said they seemed to be part of nothing more than a money-making scheme, a lab-rat venture that walked over artistic aspirations in pursuit of lining the pockets of those at the top. And there didn’t seem to be an overarching strategy. A person would give notice to move out of Chaplin on, say, a Monday. Thanks to a steady stream of eager prospects and Fear’s aggressive outreach, the person moving out would sometimes be replaced by Tuesday, Wednesday at the latest. The enrollment process was slipshod and cart-before-horse, with enrollment docs often completed days or weeks after people had already moved in. “Travis Fear sold me a fake Hollywood dream,” said Vivienne, a 28-year-old writer and director who lived elsewhere in L.A. before moving to Chaplin. She was a prime candidate for the Fear touch; she had to crash briefly in Santa Monica while looking for more reliable lodging. Needing new digs fast, she found AAGA on Craigslist, and contacted Fear. Vivienne had her interpretation of Fear’s spiel: “‘Bring your stuff and bring cash or a money order and be ready to move in,’ he said. And the house manager had problems of his own, coming to resent the fait accompli, the rubberstamping of people who turned up at the front door ready to move in — people he’d never spoken to or heard of before, people sent there by Travis Fear, without a word of notice. Fear and Lichtman did usher in other, better efficiencies; efforts were made to systematize the AAGA operation. House membership was recorded on Google spreadsheets, with names, email addresses, room assignments, hobbies and other identifying information — as well as running payment histories. Weekly managers’ meetings were started, with chieftains of the respective houses gathering on Mondays to discuss house activities, and place orders for household supplies. But other problems were matters of personality, and largely ungovernable. As spring morphed into summer, Chaplin residents came to deeply resent Charissa McElroy, the statuesque, imperious aspiring actress who was named AAGA Assistant Director, a position that made her a combination company secretary, cheerleader and bill collector. Residents at Chaplin and Shakespeare said her collection tactics included multiple requests for payments on their personal phones, and, in one case, even soliciting rent from people while they attended an acting class. For a time, Chaplin House was in its ascendancy. Not only did it enjoy a rep as the most vibrant house in the AAGA system, with people always angling to get in. Hollywood Heritage, a local organization dedicated to preservation of older homes and properties in Hollywood, had taken 1905 Grace under its wing, in March nominating the 98-year-old Naldo Stokes home to be a historic-cultural monument. That status would effectively prevent the house from being demolished to make way for another of the more conventional structures populating Hollywood’s rental stock. The Los Angeles Cultural Heritage Commission, part of the L.A. Department of City Planning, set a July 16 public hearing on the future of 1905 Grace, and other L.A. properties as possible monuments deserving preservation. About a month before, on June 18, Barry A. Milofsky and Elissa Scrafano, two commission members, visited Chaplin House to take their own measure of the building up for review. Also before the hearing, Chaplin was visited by two people there on behalf of the property owner. One was Dr. Margarita Jerabek, director of historic resources for PCR Services Corporation, a Santa Monica-based environmental consulting firm retained on June 8 by the Grace Avenue property’s owner, a chameleon company based in Newport Beach. Jerabek was accompanied by an associate who took photos of the interior space, including the beds and belongings of the people living there at the time. The July 16 hearing was attended by Jerabek, Lichtman, Fear, the house manager, several Chaplin residents and many residents of the Whitley Heights neighborhood — people who believed in the property … with or without its increasingly spirited inhabitants. Chaplin residents and members of the public defended 1905 Grace, saying it deserved to be preserved for its historical value. Jerabek offered statements and analysis that sought to undercut the historical importance of the house that Naldo Stokes built. Jerabek was rebuffed; the commission voted unanimously to recommend the property for historic-cultural monument status, dependent on final approval by the L.A. City Council. The mood in the room at City Hall was jubilant. Lichtman cried as the supporters around him cheered. Less overjoyed was Jerabek, who sternly exited when the commission vote came in. But for Andre Bauth, the commission’s vote was a minor, pleasant distraction from much of the problems he faced. Welcome, yes, but by July, he was frying bigger fish. He had a movie to produce. 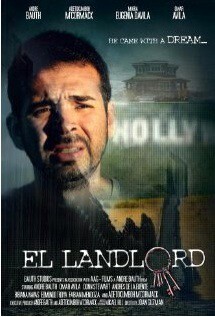 “El Landlord” is the story of Luis Ramirez, a hopeful Colombian immigrant who battles to get to Hollywood, with next to nothing except the hope of being a success. The film charts his tragic evolution from indigent to a writer inspired by his own sudden violence … to a landlord whose mounting personal anguish erupts in deadly fashion, against his own tenants. It would be the third film Bauth had produced, and he jumped into the project with intensity. Pre-production began in late June; later, Bauth’s Facebook posts offered diaristic accounts of the days of shooting. He also turned to Kickstarter to help secure funding to finish the movie, whose budget is an estimated $1.5 million, according to the film’s IMDb page. When the film wrapped principal photography in late July, it was another big step for Bauth, the realization of the longtime dream of creating what he came to Hollywood for, despite the persistent problems at Chaplin. 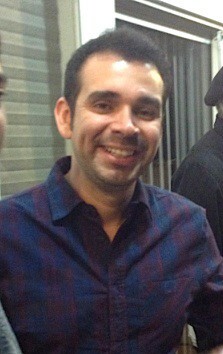 The “El Landlord” party, on Aug. 6 at the Beso nightclub on Hollywood Boulevard, was lively, and Bauth seemed upbeat. The party called for semi-formal attire and the people who showed up — AAGA members who starred in the film, or who worked as crew on the project — didn’t disappoint. Semi-formal according to Hollywood could mean anything and this night it did: Club clothes, cocktail dresses, business suits, even a tux or two. Lichtman, a musical DJ in his other professional life, worked his magic on the turntables. The party that started at Beso moved, hours later, to Bauth’s home on Laurel Canyon Boulevard, where guests saw the trailer for “El Landlord,” which stars residents of Shakespeare, Chaplin and James Dean houses. On that night of celebration, no one could know then this was as good as it would get. No one could know then that for Bauth and AAGA, things were about to go downhill. “I always paid my rent on time and never caused any issues in the housing. I am the second person this happened to in the last month and it needs to be stopped and this company and the housing needs to be shut down. They’re scamming unknowing people out of money and then living off of it. In August, an at-home mold test kit placed in the upstairs bathroom revealed greenish-black spores, a hallmark trait of mold, despite official AAGA claims to the contrary. But in August, Bobby Jones II, a Chaplin resident and a student at Musicians Institute, bought a home mold kit at Home Depot and left the petri-dish-sized tester in the open air of the upstairs bathroom for 72 hours. 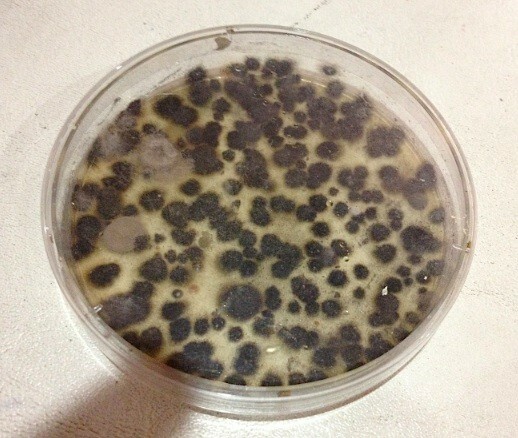 The result: The once-pristine petri dish was crowded with green-to-black spores of varying sizes — a hallmark characteristic of mold. A second test of the air in a downstairs bathroom found the same thing. In August, Chaplin residents collectively built on something started individually the month before. They began a rent strike, refusing to pay AAGA or to leave 1905 Grace until matters concerning the safety of the house and the viability of AAGA’s business methods could be discussed, and some practices changed. The house manager didn’t write many receipts for tuition that month. Which was fine. He hated having to perform that fiction of writing “tuition” on receipts when he knew good and well people were really paying rent. But in some ways, it didn’t matter. As Chaplin residents developed a taste for revolt and rebelled against AAGA rules across the board, the house manager discovered just how few of those living in the house were willing to be managed. The late payers and non-payers became too much for AAGA management to accept. On Aug. 8, Lichtman began eviction proceedings against several Chaplin residents, serving them with three-day notices to pay or leave. And AAGA communicated with the Chaplin house manager in strange ways. Once, he was called by McElroy and asked to walk to a location a few blocks away from the Chaplin property, a UPS Store parking lot, to take possession of more eviction notices. McElroy opened the driver’s-side window of her car and stealthily handed over the notices inside the proverbial Brown Manila Envelope, in a scene that might have been pulled from a John Le Carré novel at the height of the Cold War. Then, on Aug. 13, in a first-person email curiously signed by four people — Bauth, Lichtman, Fear and McElroy — several acting classes were canceled at Chaplin. With one swift move, AAGA eliminated much of the incentive (besides cheap rents) that made its shared-living experience a standout for young actors in the first place. With one action, AAGA undercut much of its very reason for being. “We are cutting the classes to two per teacher this month due to internal difficulties,” read the email. This incensed many people in Chaplin, especially those for whom the acting classes were meaningful and informative. Cutting the classes was bad, a PR nightmare that AAGA would never recover from. What made it worse for residents was the clear linkage made between rent payments and the future of the acting classes. It was as if the fate of the classes hinged on how many late payers paid in time for that money to go directly to the acting coaches conducting the classes. Essentially, Bauth told them they could be replaced like car batteries or piston rods. There was no gesture of compromise, no reach for common ground, no deeper identification with the artistic community he both courted and created, no recognition of the vagaries of the local economy. The actor and producer wrestled with the accountant. The accountant won two out of three falls. Bauth and Lichtman went after Chaplin non-payers, starting actions that were at odds with each other. 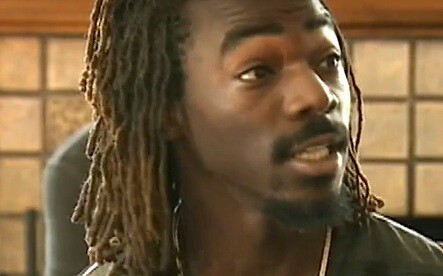 On Aug. 13, they filed unlawful detainer (UD) actions against late-paying Chaplin residents, apparently not knowing or caring that the UD notices said Chaplin residents never paid AAGA, and that AAGA had never demanded payment from them — something that would have been a big surprise to the people who’d previously paid $550 or $580 for “tuition,” month after month. Bauth and Lichtman clashed again with Chaplin residents on Aug. 17. That day, Bobby Jones, the musician, conducted a one-man protest against the acting class scheduled for that evening. The house manager previously said Jones, a drummer, could use the garage theater for a practice session. He never anticipated the location being used for a showdown with AAGA. 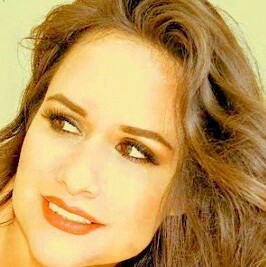 That evening, Jones told the acting coach, Vanessa Herrera, that her class was canceled due to a dispute with AAGA management. Within an hour Herrera, deeply upset on the phone, told Lichtman and Fear what had just happened. Lichtman or Fear told Bauth, and the stage for a literal confrontation was set. Lichtman and Bauth walked onto the property unannounced and began pulling Jones’ drums and other equipment out of the garage theater next to the house. 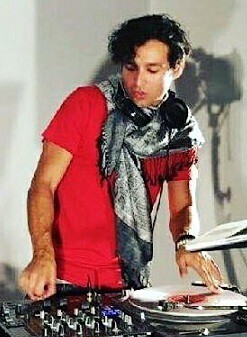 Jones had the presence of mind to record a cell-phone video as Bauth dragged his drums from the studio. At one point, Bauth is seen slapping the phone out of Jones’ hand, knocking it to the ground as it was recording. Pushing and shoving ensued, LAPD officers showed up to restore order, and the combustible situation was slowly defused, with AAGA directors sent packing by the cops, Jones and other people in the house. It finally resulted in the unthinkable. Everything came to a head on the morning of Aug. 19. That was the morning when Bauth’s volcanic spontaneity and his penchant for control submerged his common sense. This was his house. This was his dream. No one else would take control of it. No one. The Chaplin house manager awoke to the sound of furniture scraping the floor above him. He’d heard it before from his basement room; with parties and impromptu dance sessions, it was expected in a house with so many people. But this time was different. The first sounds were followed by the frantic moves of heavy footsteps. And then shouts. The floor above him was suddenly alive with sound. Then someone screamed. He sprinted upstairs into chaos. That morning, Chaplin residents saw vehicles parked in the property’s main driveway and in another, adjacent parking lot. They watched as several people — Bauth, Lichtman and Fear; various helpers and hangers-on; and a man apparently hired as security — storming Chaplin like an occupying army, emptying the living room of its furniture, entering residents’ bedrooms without permission, and literally dragging mattresses onto the sidewalk, to be stacked and taken away in a U-Haul truck. Air conditioners installed in rooms upstairs were ripped out and carted off. The house manager walked up to Fear, who’d paused to survey the situation. “Travis … T … what the f — k are you doing?” Stone-faced, Travis Fear said nothing. The scene was absolute bedlam: Chapliners (some with smartphone cameras on) faced off against Bauth and the others. 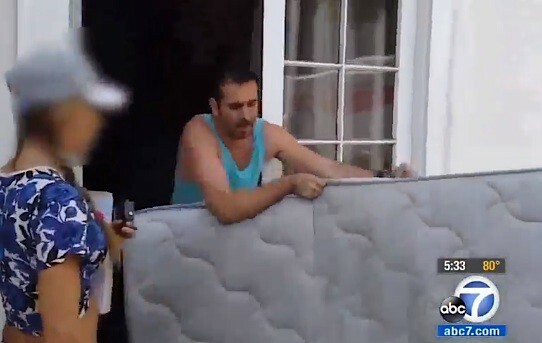 Screams and angry shouting followed; a literal tug-of-war ensued, with Chapliners fighting to pull mattresses away from the people sent to remove them. At one point on any of the cell-phone videos taken that day, Bauth is seen in a blue tank top and black shorts, a hands-on boss hauling mattresses out of Chaplin House with his minions, acting with dispatch and a barely concealed sense of triumph. No one knows who made the call to the LAPD, but soon enough, a patrol car arrived. The address of 1905 Grace was already familiar to police officers; the parties and noise-ordinance violations of the previous six months had made the location a fairly reliable and innocent stop for any black-and-white touring Hollywood, on almost any night of the week. For several minutes, it looked as if Bauth and his associates would pull off what amounted to a quasi-legal home invasion. But the LAPD officers at the scene on Aug. 19 examined the eviction notices previously served to more than a dozen Chaplin residents. The notices were wildly inconsistent. Some contained the Grace Avenue address while others didn’t, with several lines blank on the first page of the notice. The inconsistent forms and abundant video evidence strongly suggested that Bauth and his crew were trying to rush the eviction process, hoping to do in hours or days what legally takes weeks or months. A ranking LAPD officer on the scene ordered Bauth, Lichtman, Fear and their helpers to return the furniture and property back to the house. Then the officer told them, clearly and unambiguously, “Don’t come back.” As Bauth and friends departed, heading out to dinner, applause and shouts of victory went up from the Chaplin residents. The neighbors watched from higher up on Grace Avenue, probably not quite believing. For the house manager — astonished at this way of dealing with people; angry at the decision to conduct a raid of the house he managed without a heads-up from Bauth, Lichtman, Fear or anyone else — a willfully provocative action by his bosses had crossed a line. He’d anguished for months over the condition of the house, and how Fear and Lichtman looked for jerry-rig solutions that needed real repair, despite him telling them that short-term solutions were often no solutions at all. He hated the tightrope he walked as house manager, someone whose position was a benevolence of the company that was now at odds with the people he lived and ate with, washed with and befriended. Some people in the house called him “Papa,” an indicator that he was older than everyone else at Chaplin, but also a sign of respect, and one he came to appreciate. The unfolding Chaplin conflict with Bauth and the AAGA leadership made life at the house raw and territorial. More than once he had to contend with residents who didn’t trust him, people who thought he was working both sides of the street. He recognized his dilemma, and he tried to be as diplomatic as he could be in answering to two masters. But if he had any questions about where he really stood, if he was troubled about not doing right by the organization that gave him a free room … those questions ended, personally if not formally, after the events on Aug. 19. The calculated way of management’s dealing with him, the hit-or-miss commitment to taking care of the place, the apparent betrayal of their own artistic values — that was bad enough. But to throw people’s property into the street, to repossess their beds, to help adding to a citywide homelessness problem already at crisis levels — and make him complicit in that action by proxy, as an AAGA manager … no. Hell no. In every way that mattered, he was all in. That day he kicked AAGA to the curb, not least of all because he finally realized they’d already done that to him. As August gave way to September, the residents of 1905 Grace were living rent-free, but with none of the amenities (paper towels, hand and dish soap, toilet paper, maid service) that were part of AAGA house services. They hunkered down with the paperwork needed for the new conflict, and they waited. One phase of the Battle of Chaplin was over. The next phase — enter the lawyers — was about to begin. Other problems with the house itself — the quake damage, the mold in the upstairs bathroom, the rodents, the back staircase falling apart, the periodic living-room waterfall — couldn’t have been more obvious. They amounted to a breach of the warranty of habitability implied in every residential lease in California. And Bauth and Lichtman had done something else. They’d circumvented the agreement they signed to gain access to 1905 Grace on Nov. 20, 2014. According to the residential lease agreement they each signed and initialed, they were only tenants, contrary to the elaborate fiction fostered for students about being the owners. Neither Bauth nor Lichtman owned any part of the property. And according to that agreement, neither Bauth nor Lichtman could sublet the property to anyone — including people brought in to live there as AAGA members — without the owner’s permission. By subletting 1905 Grace, they breached their agreement with the owner from the first day they opened the place for business as a rooming house for actors. By early September 2015, Bauth was hunkered down at his Studio City address facing the potential unraveling of his empire, the definite loss of money from the rebels at Chaplin House, and a likely loss of respect from people at the other AAGA houses. Residents of those other sites, who faced some of the same problems, began to investigate their options. The old infrastructure problems at Shakespeare re-emerged; besides the neglect that left the basement infested with rodent droppings, a garage space was recovering from a bedbug infestation that required the previous occupant to move out. Bauth may well have felt trapped, cornered, encircled by mounting legal troubles and adversaries at every turn, and embarrassed by an eviction gone sideways. He was becoming a man with diminishing options. But it was okay. At least in the short term, it was nothing that a drink and dinner with friends couldn’t fix. Early Tuesday morning, Sept. 8. 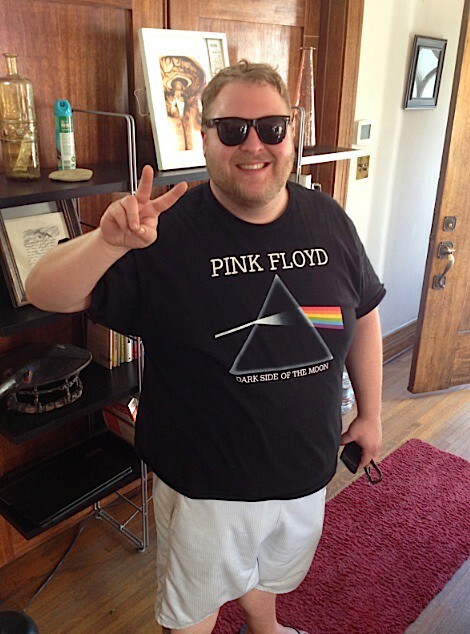 Bauth was relaxing at his Laurel Canyon Boulevard home after dinner and drinks with friends and other residents of the house, including Clayton Haymes, a 23-year-old actor who moved from Phoenix a few months earlier. At some point, and amid more drinking, Bauth apparently made a comment that was as much an indication of the depth of his personal dreams as it was an idle boast with little relation to entertainment history or reality. One day, Bauth said, he’d win five Oscars. “When he said ‘five Oscars,’ we all just kinda laughed a little bit, and he got really upset,” Haymes later told KCBS Los Angeles. At that point, Bauth allegedly chased Haymes, threatened him, swung at him with a knife and stabbed him, puncturing one of his lungs a few inches from his heart. Bauth then fled the Laurel Canyon house, starting a manhunt that lasted a week. Haymes, initially listed in critical condition, was soon upgraded and talking to the media. A tearful Haymes told CBS Los Angeles he was “happy to be alive” and added that he couldn’t understand why this had happened since he and Bauth were friends. He wasn’t the only one caught off guard. 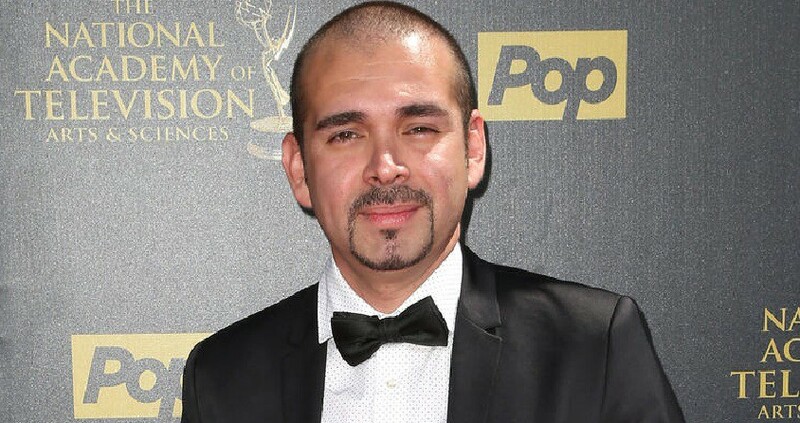 Luis De La Fuente, one of the “El Landlord” writers, told RadarOnline.com how Bauth’s alleged actions stunned him and those in Bauth’s circle. “It shocked myself and we were all in disbelief because it looked too much like what we had written,” De La Fuente said. On Sept. 10, Los Angeles police issued a warrant for Bauth’s arrest on suspicion of attempted murder and assault with a deadly weapon. He surrendered a week later at the U.S. Embassy in Mexico City, the Los Angeles Times reported. The L.A. County District Attorney’s Office said Bauth pleaded not guilty to the charges on Sept. 21 in a courtroom in Van Nuys, The Times reported. 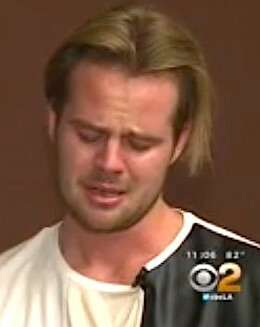 Bauth was booked into L.A. County Men’s Central Jail, on $550,000 bail. He faces up to 13 years in state prison if convicted. But on Sept. 22, the residents of 1905 Grace Avenue, including the house manager, formally named Bauth and Lichtman as defendants in a lawsuit filed in Los Angeles Superior Court. The next day, the plaintiffs’ attorney, Eric E. Castelblanco, a veteran of tenants’ rights cases, convened a press conference in the Chaplin living room, a media scrum attended by reporters and camera crews from the local TV stations and L.A. Weekly. 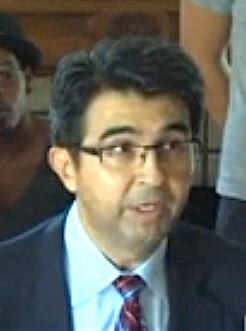 Castelblanco, a Harvard Law School graduate with 22 years experience in the field, spoke in general terms about damage done to the residents of 1905 by “scammers and shysters taking advantage of people coming here for their dreams.” But he said directly that the apparent owner of record, CAHP Holdings LLC, a limited-liability company based in Newport Beach, was advised about the situation at Grace Avenue in May, and “they have done nothing.” The lawsuit itself similarly takes CAHP to task, saying the company “came to know or should have known” that its property was being “illegally leased” to Bauth and Lichtman as a boarding house. CAHP has denied any such knowledge. The situation has deeply complicated life for the artists AAGA pledged to support. Lichtman defended himself in the media. “It’s not a scam,” he told KABC’s Adrienne Bankert on Sept. 23. “We didn’t force people to move in,” he said. “We gave them a tour of the house, the whole house, every bedroom. They saw the bunks.” Left unanswered was the question of why people were moved in in the first place when the agreement he and Bauth signed in November the year before barred subletting the home. The suit filed in Superior Court seeks damages, including statutory damages and “exemplary and punitive damages in an amount to be determined at trial.” But Bauth and Lichtman aren’t the only defendants in the case. The third one isn’t a person but an entity, a holding company for persons unknown. There’s a consistent inconsistency in the names of the companies identified as the owner of 1905 Grace Ave. Letters from the City Clerk’s Office and the Department of City Planning identify the property owners as Gilbert Buzz Silverman (whose mail occasionally came to 1905 Grace, though he never picked it up) and the aforementioned CAHP Holdings, on Von Karman Avenue in Newport Beach. 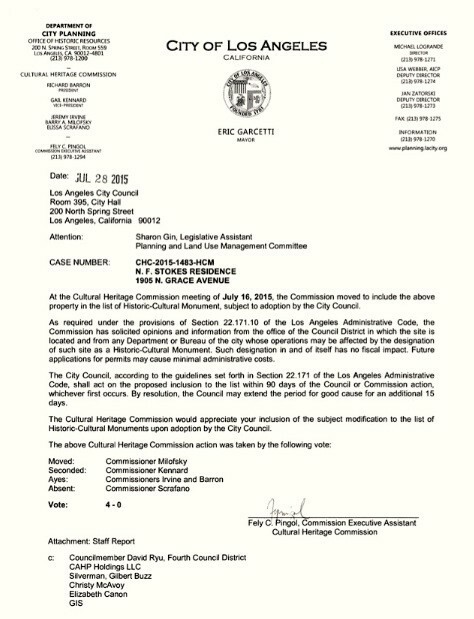 But on the Cultural Heritage Commission nomination form for 1905 Grace to secure monument status in Los Angeles, the owner is identified as Citivest, a real estate investment company whose address is on Von Karman Avenue in Newport Beach. Literally the same address as CAHP Holdings. The same CAHP Holdings or Citivest that sent Dr. Margarita Jerabek and a photographer to 1905 Grace to conduct a room-by-room inspection of the property before the July 16 public hearing. The same inspection in which every habitable space in the house was observed or photographically recorded by Jerabek or the photographer. The same inspection with the same visual information about mass occupancy that CAHP denies knowing anything about. 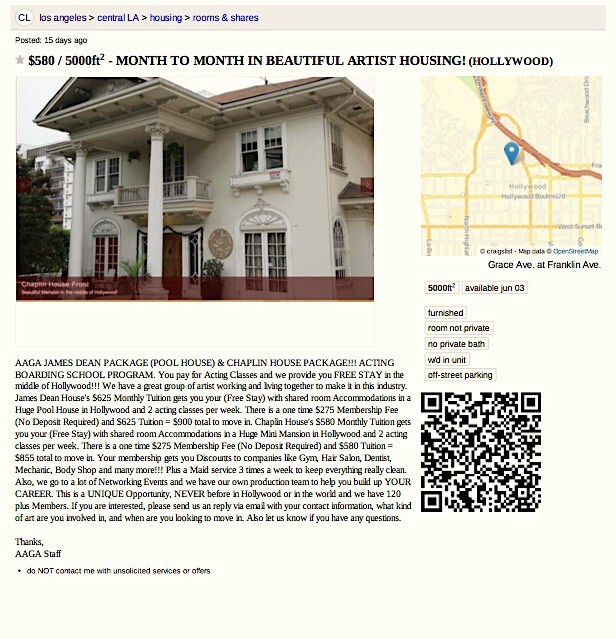 An Oct. 9 Craigslist ad promoting a shared-living environment for “focused artists” at the home that was once Shakespeare House, under AAGA management, but which is now run by Hollywood Artist Housing. In the same Craigslist LA section was another ad. 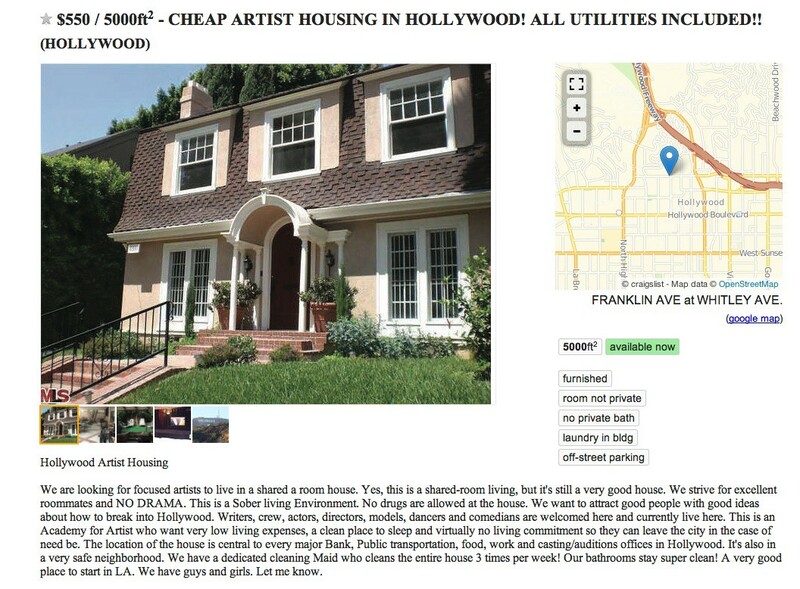 This one, posted on Oct. 9 by a company called Hollywood Artist Housing, advertised space to rent in what was until recently known as Shakespeare House, one of the original stars in the AAGA constellation. 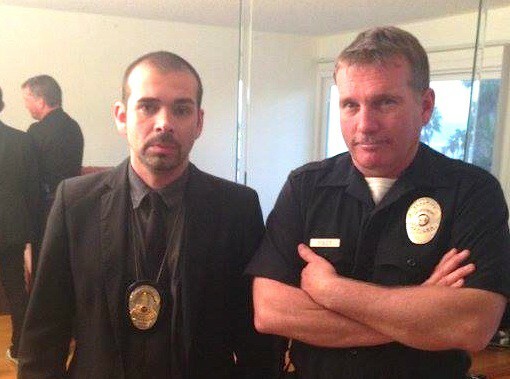 A photo from the AAGA Bucaramanga Facebook page shows Bauth apparently dressed for a film or TV role, and standing beside what appears to be a real LAPD officer. Or not. Questions remain. What’s the relationship, if any, between Fear, Lichtman and these two companies? Who are the people behind CAHP Holdings LLC? Why is the identity of the owner of 1905 Grace always changing in official documents? Who is Gilbert Buzz Silverman, the actual human being jointly named in various official documents as another owner of the house? What did CAHP know about the overcrowding at Chaplin House, and the problems that both preceded and followed that influx of people … and when did they decide they knew it? But the biggest question for many people is: Why? Why did Andre Bauth let greed and desire for material things compromise his wider vision? Why couldn’t he better control his own ego and its appetites? And why did Bauth, 37 years old this month, betray the power and efficacy of his dream, his own iteration of an idea that could have been — deserved to be — wildly successful? He hasn’t said much beyond an interview with L.A. Weekly, published on Oct. 12. One quote in particular puts his perspective into perspective: Defensive, maybe a little passive-aggressive. Andre Bauth’s Facebook page is down and the AAGA Campus information Facebook page is down; the ads on the websites have been vanished and the AAGA Hollywood website, previously “Under Construction,” now redirects visitors to the website’s host. Just about every part of AAGA’s official history in the United States has been scrubbed or digitally obliterated. Everything but the memories of dozens of people, a hopeful man from Seattle — yours truly, the author — and others seduced and burned by the AAGA vision. Their lives, like the life of Andre Gustavo Bautista Salamanca, are under reconstruction. 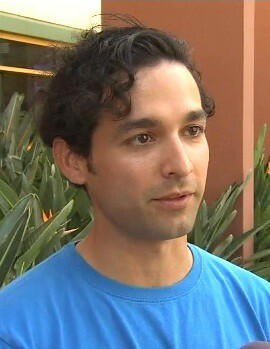 Michael E. Ross is a journalist and screenwriter living in Hollywood. Postscript: Feb. 3, 2017 — Andre Bauth was convicted on Thursday of the attempted murder of actor Clayton Haymes in September 2015. Bauth, 38, was convicted of attempted murder and assault with a deadly weapon by Los Angeles County Superior Court Judge Gregory Dohi. Sentencing is scheduled for March 22 in Van Nuys. Bauth faces 13 years in state prison. 2nd Postscript: March 22, 2017—Andre Bauth was sentenced to 13 years in state prison for the stabbing of Clayton Haymes in September 2015. Superior Court Judge Gregory Dohi imposed the maximum sentence.